While most modern pokies follow a particular theme, there’s still plenty of people who like more traditionally-styled games, where images of fruit, Bars, bells and 7’s dominate the reels. Many of these pokies however, are simple games where lining up the images for a win is all that happens, and the casino market has moved on a bit, leaving these to be largely forgotten about. 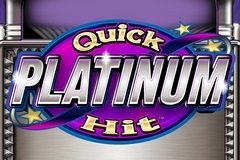 Quick Hit Platinum, from Bally Technologies, takes these classic images and puts them into an up to date game, where players will see wild wins, scatter payouts, free spins with multipliers and the Quick Hit features that are common across a number of pokies in the range and can result in wins of up to 5000x the triggering bet. The whole game has been designed to look as if it’s been made from platinum, with a bright metallic sheen running from top to bottom, in a vaguely art deco style. There’s 5 reels, where the symbols are in 3 rows, while players will see 25 paylines to bet on, winning a prize whenever 3 or more matching symbols land across one, running from the left side. The symbols will all be familiar to anyone who has played a pokie before, with the red cherries, a set of 3 bells, various Bars and single, double and triple flaming 7’s. Although these all work the same way, the values change depending on the symbol, and of course lines of 4 or 5 are worth more than lines of 3. It’s the bonus symbols that make Quick Hit Platinum such an interesting pokie however, as it’s rare to see the standard symbols in a game with so many other things going on. The one that’s likely to be seen the most frequently is a wild symbol that simply acts as any regular symbol if it can complete a winning line, for example, if the cherries land on reels 1 and 3, players wouldn’t get a win, but if the wild is on reel 2 and they are all on a payline, players win for 3 cherries. If 3 of the bonus symbols appear at once anywhere on reels 2, 3 and 4, players will be taken to a screen with a grid of 20 question marks on it, selecting them one at a time until they have uncovered 3 of the same free spins options. They could get 20 free games with all wins multiplied by 3x, or uncover 15, 11, 10, 7 or 5 free spins with all wins doubled in value throughout. Hidden among the picks are wild boxes which will award a further 5 spins and count towards whatever has been uncovered so far. It’s also possible to be awarded extra spins during the feature, to a maximum of 50. The whole point of this range of games are the big rewards that come from the Quick Hit symbols turning up in the right places, and they do exactly as the name suggests, by paying out instant wins. 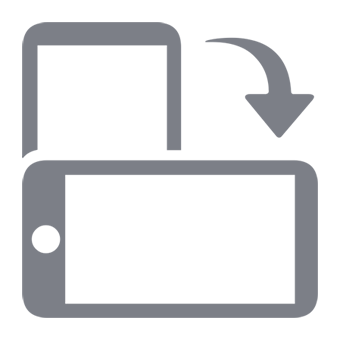 The red Quick Hit symbol will return 1x the stake to players when 3 land at once, while seeing 4 of them will be worth a prize of 5x. Getting 5 at once is worth 10x the stake, 6 Quick Hit symbols pays 50x, 7 of them pays 100x and landing 8 at once returns 650x the stake to players. The maximum win is for 9 of them appearing at once however, with a huge prize of 2000x the triggering bet paid out. In the Platinum version, there’s a second Quick Hit symbol that’s worth 2x when 3 appear at once and 25x for seeing 4 of them. The big reward though, is reserved for players lucky enough to see 5 of the Platinum symbols at once, as this is worth the jackpot of 5000x their triggering bet. It’s easy to see why the Quick Hit games have been so popular, as they combine the classic with the modern in a visually pleasing and more importantly, rewarding way. There’s going to be plenty of people who are immediately put off by the old-fashioned symbols, but others who will really appreciate the fact that they can still play them, however, it would be a shame to pass this game by, as it’s got some excellent features. The actual Quick Hit wins can occur fairly frequently, at the lower levels anyway, and while landing the 2000x and 5000x prizes isn’t going to happen every day, players should be able to pick up some decent rewards in the free spins rounds and within the normal run of play of this popular game.